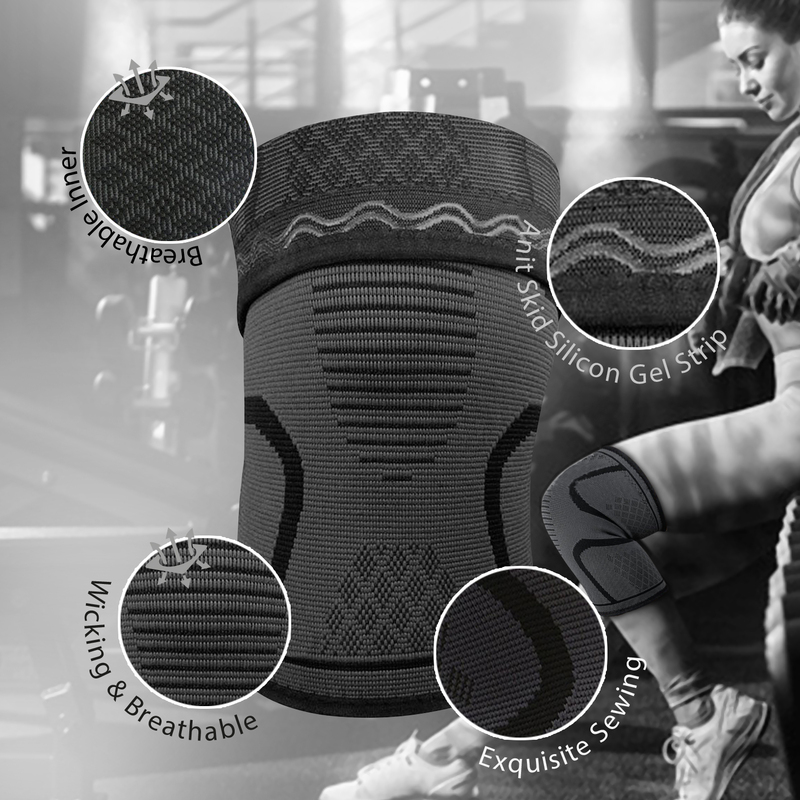 • OPTIMAL KNEE PROTECTION – Keep your knees protected from pain or injury when you perform your most intensive workouts. These compression knee braces regulate blood flow and temperature to reduce stress, swelling or pain during and after your workout. 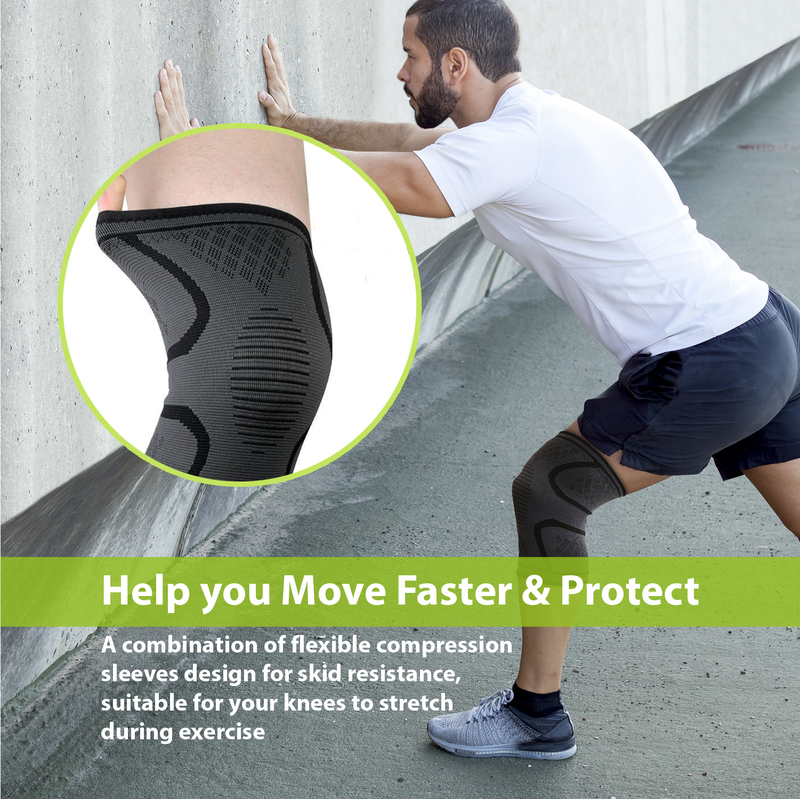 • MAXIMUM SUPPORT & STABILITY – Workouts that include squats, lifting and running put a lot of pressure to your knees making them susceptible to pain and discomfort. 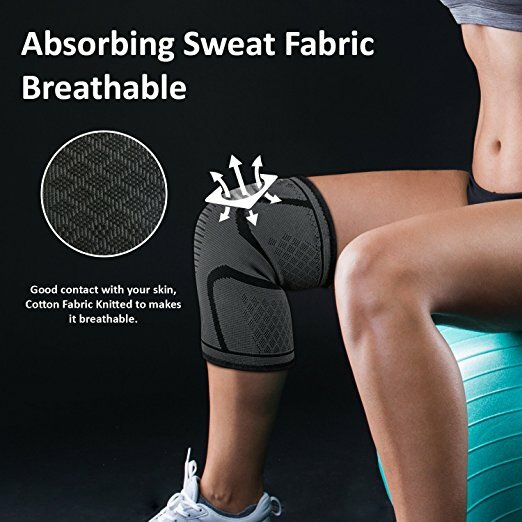 These knees braces are ergonomically designed to snugly wrap around your knees so you can get the right amount of support and stability as you work out. 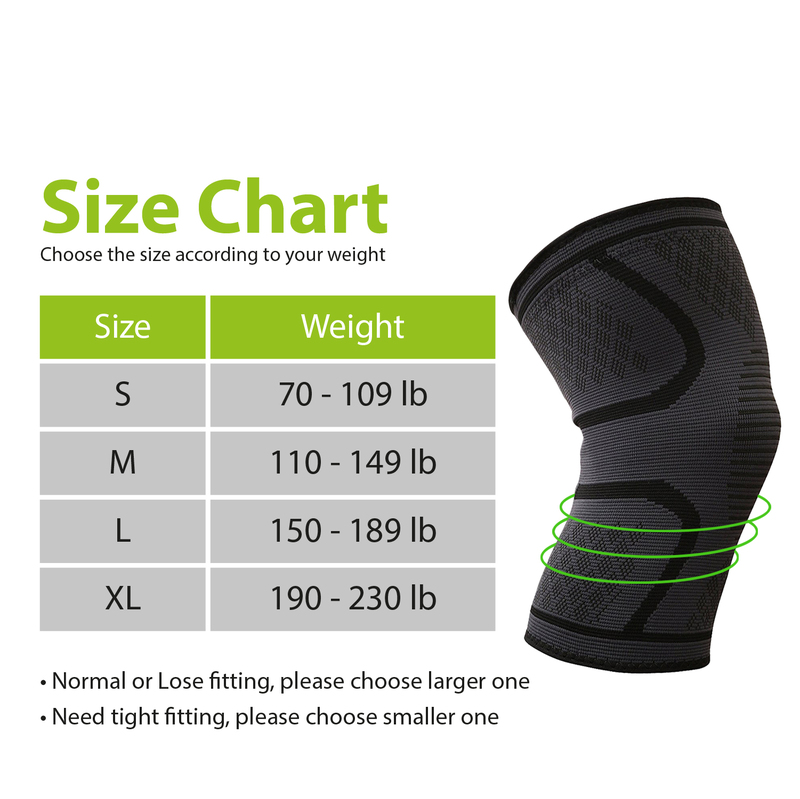 • EXTRA COMFORT & MOBILITY – Elastic and breathable fabric conforms to your legs so it won’t slip or roll up. 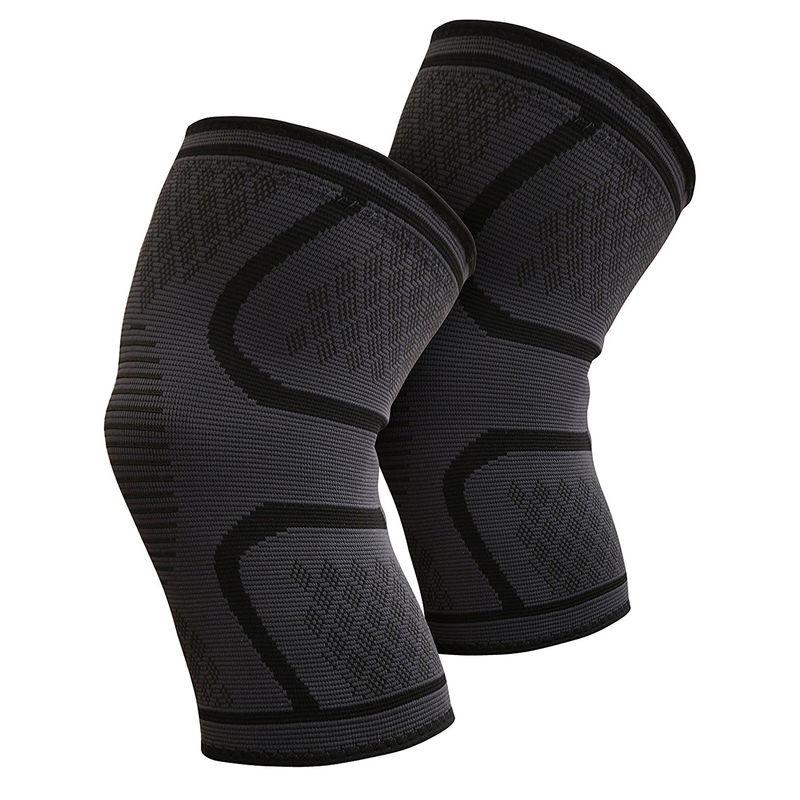 Stay comfortable and get the support your knees need without sacrificing mobility. 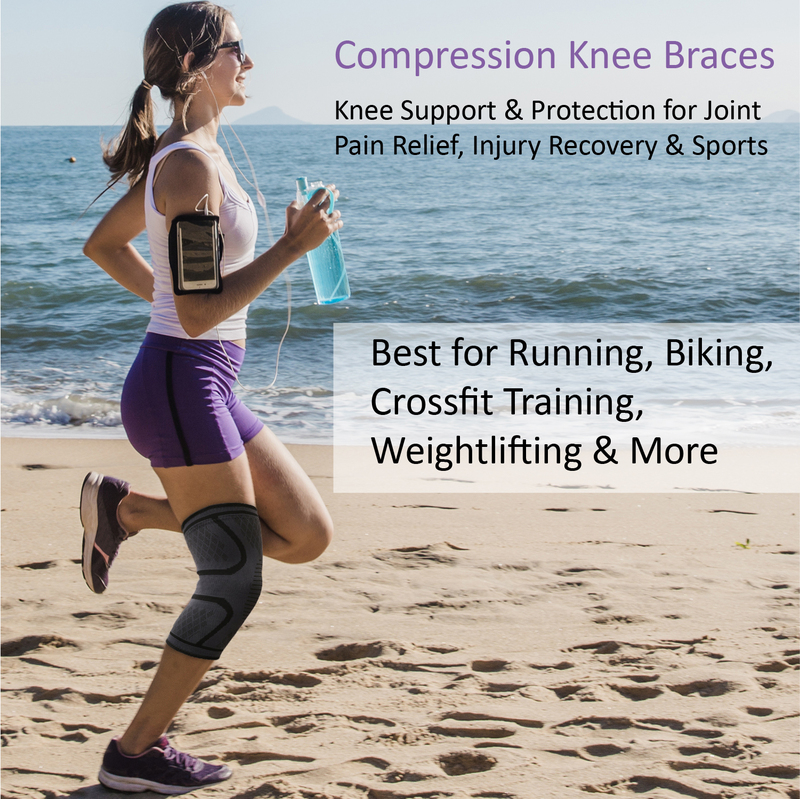 • IDEAL FOR SPORTS & WORK – You can wear these knee braces if you are a newbie sports buff or a pro athlete training for a marathon, crossfit or basketball. It can also be worn by those whose work involve being on-the-go or standing for long hours e.g. nurses, construction workers or sales people. 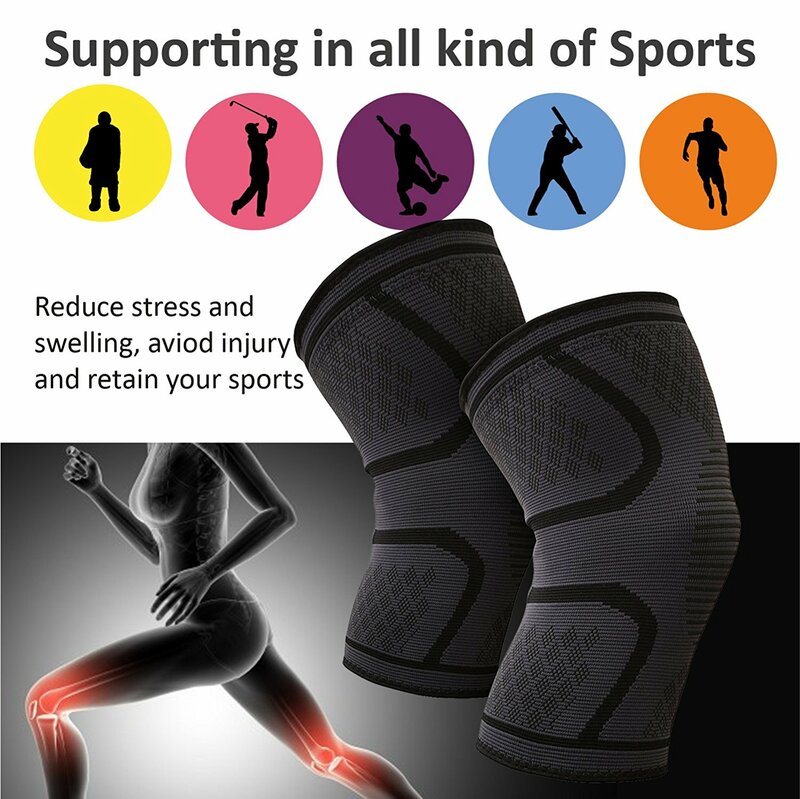 • 100% CUSTOMER SATISFACTION GUARANTEED – If you have any issues on the quality of our product, let us know immediately and we’ll give you a return or a full refund, hassle-free.